I&apos;m so excited to talk about my friend Margo&apos;s new exclusive HSN jewelry collection. Margo is an insanely talented NYC designer of MargoManhattan.com fame. She&apos;s been outfitting celebs for years in chic, rock-and-roll jewelry that I could only dream about owning. This savvy CEO has partnered with HSN to come up with a line that is edgy and cool while also having HSN-friendly prices. Everyone wins in this collaboration. This week, Margo&apos;s next sale event will go live on HSN from 2-4pm on Thursday, May 18th. By now you know I love accessories. They are a great way to make clothes you already own feel new and pretty again. Margo&apos;s pieces are exceptional. She came to our Brooklyn offices to showcase them and I fell deeply in love. She loaned me a few pieces to share with you today in this photo shoot. I love stackable Margo ManhattanChain Link rings. This trio is affordable, elegant and right on trend. I paired the Blue Topaz with an Amethyst and a Oval Peridot. I love the way they stack with a slight asymmetry that looks effortless. Because sometimes more is more when it comes to jewelry, I added this Margo Manhattan 2.59ctw Pink Tourmaline 72" Necklace to a sheer white top. The necklace can be wrapped and worn at different lengths. Have fun and be playful with these pieces. Margo doesn&apos;t want you to take yourself too seriously—her goal is to bring joy to the woman wearing each piece. Now that you are swooning over the jewels, let&apos;s talk about the rest of the outfit. 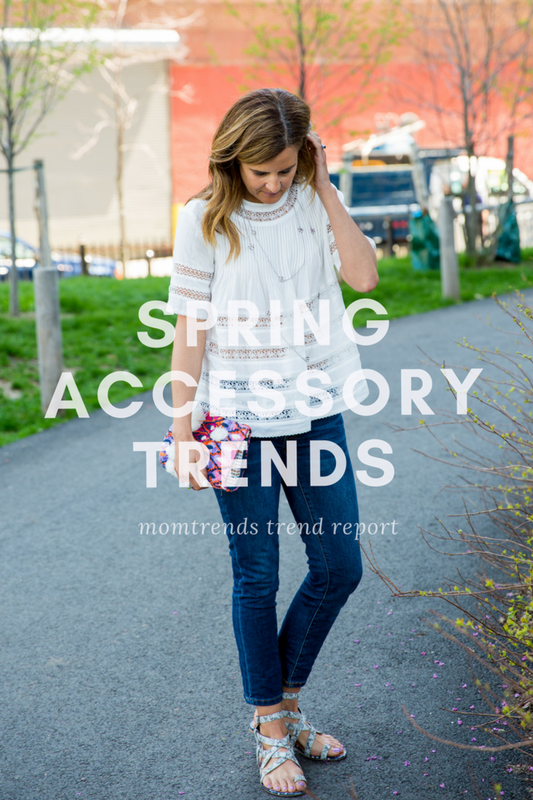 Are you loving the eyelet trend this spring? I am! When I was in Dallas a few weeks ago, I popped into Neiman Marcus and picked up this Alexis Eniko Short-Sleeve Pleated Top. I love the sheer, light fabric, and it&apos;s easy to pair with denim both long and short. As for other accessories, I added an Anthropologie clutch and my new cabi sandals (this is the first season cabi has had shoes and I adore these!). Please join Margo Manhattan on May 18th, 2-4pm EST, as she launches her exclusive HSN jewelry collection. RSVP here for prizing. I&apos;ll be joining the party as a co-host from 2:30-3:30pm. To make the most of the party, tune into HSN on TV and hop onto Twitter for the Margo Manhattan/HSN Viewing and Trivia Event! During the Twitter event, we will ask trivia questions about Margo Manhattan. The first person to answer correctly wins a prize. There will be beauty, jewelry and spa prizes given away—with more than 20 winners. Every person that attends is automatically entered to win the grand prize, which is a replication of the pendant Margo made for Beyonce. During the event, if you purchase something on HSN you will be entered an additional three times to win the grand prize. So what are you waiting for? RSVP for the twitter party and shop and view the Margo Manhattan collection on HSN here. This is not a sponsored post, I&apos;m helping out a fellow Girl Boss! Photos by Suzanne Cohen and may not be used without express permission of Momtrends Media.